Facebook has launched their "Recommendation Bar" in beta version,the Recommendation Bar is a plugin which shows a number of some recommended articles for your readers or visitors and you can set number of recommended articles,when any visitor visits to your any post,after some specific time the plugin pop ups at the right/left corner of your blog with the recommended articles,that's how its helps you to keep busy your visitors on your blog. 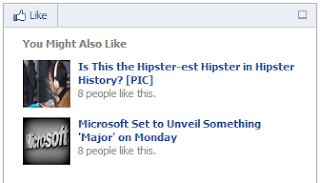 How To Add Facebook Recommendations Bar To Blogger? First go to Facebook Apps and login with your Facebook account. After creating you app go to edit app and see at the bottom Website with Facebook Login tab. enter your website link into box and click save changes. Now copy your App ID and paste it into notepad,we will need it later. Replace http://www.cybertweaks with your blog URL.